The information contained within this website is only for general information and RKCA, Inc. (the “Company”) assumes no responsibility for its accuracy or completeness. The Company cannot and does not accept responsibility or liability for any actions taken based upon the content of this website. Information provided through this website may contain errors, inaccuracies, omissions, or may be outdated. All information and material contained on this website is provided on an “as is” basis without any warranty or representation of any kind, either expressed or implied, and the Company expressly disclaims any implied warranty of merchantability or fitness for a particular purpose, including any warranty for the use of this website or any information on this website with respect to its correctness, quality, accuracy, completeness, reliability, performance, timeliness, or continued availability. The Company reserves the right, at any time and from time to time, in the interests of its own editorial discretion and business judgment to add, modify, or remove any of the information on this website. Use this website at your own risk. Under no circumstances is the Company liable for any direct, indirect, incidental, consequential, punitive, or other damages of any kind arising out of your access to or use of this or any linked website, including without limitation, loss of business or program, interrupted or delay of business or program, or loss of revenue. The material and information contained within this website does not constitute legal, accounting, financial, regulatory or other advice. The material and information on this website has been prepared without regard to any particular user’s investment objectives, financial situation, or means, and the Company is not soliciting any action based upon it. The fact that the Company has made material and information provided on this website available is not a recommendation that you enter into a particular transaction and is not a representation that any product or service described on this website is suitable or appropriate for you. The information on this website is not to be construed as a recommendation, or an offer to buy or sell, or the solicitation of an offer to buy or sell any security, financial product, or instrument; or to participate in any particular trading strategy in any jurisdiction in which such an offer or solicitation, or trading strategy would be illegal. Certain transactions, including those involving futures, options, and high-yield securities, give rise to substantial risk and are not suitable for all investors. While the Company endeavors to provide reliable and timely information, it has not verified any material or information on this website and does not represent that this material or information is accurate, current, or complete and it should not be relied upon as such. This Policy applies to all Internet sites operated by or on behalf of the Company. It also applies to personal information we may otherwise collect: (i) through our products and services; (ii) when you interact with us by means other than this website, for example, in person or by telephone; and (iii) from our customers, distributors, suppliers, vendors, and other business partners (collectively “Business Partners”). • take appropriate measures, by contract or otherwise, to provide adequate protection for personal information that is disclosed to a third party or transferred to another country, including transfers within the Company. The Company collects personal information you provide us, which may include: (i) contact information, such as your name, company name, job title, address, e-mail address, and phone number; (ii) additional information about how you use our products or services; (iii) comments, questions, and requests you may make; and (iv) information about your preferences, such as your preferred methods of communication and the types of services in which you are interested. Information about how you interact with us. The Company may collect technical data about your usage of the Company website and how you interact with our digital advertisements and promotions, such as content viewed or downloaded, features used, links clicked, Company promotional emails opened, and dates and times of interactions. The Company collects this information using cookies and similar technologies. Location information. The Company may collect location information, including precise real-time location information from your device and imprecise location information derived from, for example, your IP address or postal code. This website uses “session cookies.” A session cookie does not identify you personally and expires after you close your browser. This website also uses “persistent cookies.” These cookies do not expire when you close your browser. Persistent cookies stay on your computer until you delete them or they expire. By assigning your computer a unique identifier, we are able to create a database of your previous choices and preferences which can be provided by us automatically, saving you time and effort on future visits. Although you are not required to accept cookies when you visit this website, you may be unable to use all of the functionality of the site if you reject certain cookies. You have choices about the personal information you provide the Company. You may choose not to provide information that we request, but if you do so, we may not be able to provide you a relevant service or a particular feature of this website. Develop and manage our relationships with you and our Business Partners. This may include: (i) delivering services or carrying out transactions that you or our Business Partners have requested; (ii) providing information about Company products, services, and transactions, and advertisements, that may be of interest to you; (iii) providing you and our Business Partners a more consistent experience in interacting with the Company, including by learning more about you and how you use and interact with the Company’s website; and (iv) planning, managing, and performing under our contractual relationships with our Business Partners. Provide and improve our website and services. This may include: (i) customizing them to your preferences or interests, making them more compatible with your technology, or otherwise making them easier to use; (ii) maintaining the security of and otherwise protecting them; and (iii) developing new Company websites, products, and services. Address legal issues. This may include: (i) complying with our obligations to retain certain business records for minimum retention periods; (ii) establishing, exercising, or defending legal claims; (iii) complying with laws, regulations, court orders, or other legal process; (iv) detecting, preventing, and responding to fraud, intellectual property infringement, violation of our contracts or agreements, violations of law, or other misuse of the Company website or services; and (v) protecting the Company’s rights or property, or yours or others’ health, safety, welfare, rights, or property. The Company may anonymize or aggregate any of the information we collect and use it for any purpose, including for research and product-development purposes. Such information will not identify you individually. • The Company may share your personal information with other Company entities, including those in different countries. When we do so, these other Company entities will use your information in a manner consistent with this Policy and all applicable privacy and data protection laws. • The Company may also share your personal information with third parties we hire to perform support services for us. These third parties are required to use the personal information we share with them only to perform services on our behalf and to treat your personal information in compliance with all applicable privacy and data protection laws. • In some cases, the Company may share your personal information with third parties who partner with us to provide products and services to our customers, such as distributors. If so, we will require our Business Partners to use that information in a manner consistent with this Policy and all applicable privacy and data protection laws. • The Company may share your personal information with third parties when we have a good faith belief that disclosure is necessary: (i) to comply with a law, regulation, court order, or other legal process; (ii) to detect, prevent, and respond to fraud, intellectual property infringement, violation of our contracts or agreements, violation of law, or other misuse of the Company website, products or services; (iii) to protect Company rights or property or yours or others’ health, safety, welfare, rights, or property; or (iv) under similar circumstances. If such an event occurs, we will take appropriate steps to protect your personal information. • The Company may share your personal information with third parties in connection with the sale, purchase, merger, reorganization, liquidation or dissolution of the Company or a Company business unit, or under similar circumstances. If such an event occurs, we will take appropriate steps to protect your personal information. • The Company may share your information with your permission or at your request. • The Company may share anonymized or aggregated information internally and with third parties for any purpose. Such information will not identify you individually. The Company maintains reasonable safeguards to protect the confidentiality, security and integrity of your personal information. Although we use security measures to help protect your personal information against unauthorized disclosure, misuse, or alteration, as is the case with all computer networks linked to the Internet, we cannot guarantee the security of information provided over the Internet and will not be responsible for breaches of security beyond our reasonable control. The Company website may contain links to websites or mobile apps that are not operated by the Company and plugins from social media platforms and other third parties. An example of a social media plugin is the Facebook “Like” button. We provide these links and plugins as a service and do not imply any endorsement of the activities or content of the related websites, apps, or social media platforms, nor any association with their operators.  To learn about the information collected by these third-party websites, apps, and plugins, please visit their privacy policies. We encourage you to review the privacy policies for the websites, apps, and social media platforms you visit before using them or providing personal information. This website is not intended for children under 13 years of age. The Company will not knowingly solicit or collect personal information from or about children under 13, or the relevant minimum age under applicable local legal requirements, except as permitted under applicable law. The content of this site is protected by copyright law and all relevant intellectual property rights belonging to the Company, its licensors, or other providers of such material. All content, trademarks, services marks, trade names, logos, icons, features, and functionality (including, but not limited to, all information, software, text, displays, graphics, photographs, illustrations, images, video, and audio; all pages and screens, the design, selection, and arrangement thereof; and all related metadata) are proprietary to the Company or its licensors or other providers. Nothing contained in this website or any other materials should be construed as granting, by implication, estoppel, or otherwise, any license or right to use any trademark displayed by the Company without the written permission of the Company or its licensors or other providers of such material. Your use of the trademarks or any other content displayed on this website, except as provided herein, is strictly prohibited. Images displayed by the Company are either used with permission or the property of the Company. You are prohibited from using or authorizing the use of these images, except as provided herein. Any unauthorized use of the images may violate copyright laws, trademark laws, the laws of privacy and publicity, or other regulations and statutes. Pursuant to Section 512(c)(2) of the Copyright Revision Act, as enacted through the Digital Millennium Copyright Act, the Company has designated the following agent to receive notifications of claimed infringement: RKCA, Inc. 1077 Celestial Street Cincinnati, OH 45202. The Board of Governors of FINRA, Inc. has adopted a public disclosure policy that provides certain types of disciplinary information on FINRA Member Firms and their Associated Persons in response to written inquiries via FINRA’s Regulation’s web site address (www.finra.org) or telephone inquiries via FINRA Regulation’s toll-free telephone Design listing (1-800-289-9999 or 1-800-289-9999). Additionally, you may check the background of your investment professional by looking up a brokerage firm or broker in FINRA Broker Check. For questions regarding Broker Check, FINRA provides a toll-free hotline at (800) 289-9999 or (800) 289-9999, which is available Monday through Friday from 8:00AM until 8:00PM Eastern time. Broker Check may be found on the FINRA website at http://www.FINRA.org under the heading “Investors”. In certain transactions involving the purchase and sale of securities, the Company may be under common control with the issuer of a security. There are also certain situations in which the Company may act as an advisor to you with respect to certain securities in which the Company is participating or has a financial interest in the primary or secondary distribution. Furthermore, the Company may serve as placement agent and/or manager for the investment company or operating company and may receive compensation for such services. Additionally, employees of the Company may serve on the board of directors or management team of the investment company or operating company as related to the respective securities offering and may directly or indirectly receive compensation for such services. Please refer to the respective offering documents for disclosure of the conflicts of interest related to the Company’s, and its employee’s, role in the respective unregistered private securities offering. This website and any material or information on it does not constitute an offer to sell, a solicitation of an offer to buy, or a recommendation of any security or any other product or service by the Company or any other third party regardless of whether such security, product, or service is referenced on this website or any material or information on it. Prospective investors should consult their own professional advisors as to the legal, tax, financial, or other matters relevant to the suitability of any investment. The Company offers unregistered private securities under exemptions from securities registration, such as Regulation D. Such offerings contain unique risks, terms, conditions and fees specific to each offering. Depending upon the specific investment product, investment risks include, but are not limited to, interest rate risk, credit risk, call risk and liquidity risk. In addition to the general risks related to securities, private offerings are subject to the respective risks of their industry and market. Generally, most securities that you may acquire in a private placement will be restricted securities. You should not expect to be able to easily and quickly resell any such restricted securities which you may acquire. In fact, you should expect to hold any such securities indefinitely. You should refer to the respective offering documentation for the risks respective to any private securities offering in which you may participate. You should not purchase a private unregistered security until you have read the specific offering documentation and fully understand the specific investment terms, features, fees and risks of such investment. Processing on the basis of legitimate business interests. When we process personal information on the basis that the processing is necessary for our legitimate business interests, such interests include: (i) providing, improving, and promoting the Company website, products, and services; (ii) communicating with current and potential customers, other Business Partners, and their individual points of contact; (iii) managing our relationships with our customers and other Business Partners, and their individual points of contact; (iv) other business development purposes; (v) sharing information within the Company, as well as with service providers and other third parties; and (vi) maintaining the safety and security of our products, services and employees, including fraud protection. Processing on the basis of performance of a contract. Examples of situations in which we process personal information as necessary for performance of a contract include e-commerce transactions in which you purchase a product or service from the Company, on your own behalf, through the Company website. Processing on the basis of consent. Examples of processing activities for which the Company uses consent as its legal basis include: (i) collecting and processing precise location information from your mobile device; (ii) sending promotional emails when consent is required under applicable law; and (iii) processing personal data on the Company website through cookies and similar technologies when consent is required by applicable law. Processing because the Company is under a legal obligation to do so. Examples of situations in which the Company must processes personal data to comply with its legal obligations include: (i) payment of taxes and other government levies; (ii) providing your personal data to law enforcement agencies and other governmental bodies when required by applicable laws; (iii) retaining business records required to be retained by applicable laws; and (iv) complying with court orders or other legal process. Right to object to processing for the Company’s legitimate business interests. You have the right to object to the Company processing your personal data when that data is processed on the basis of the Company’s legitimate business interests. The Company will honor your objection and stop processing the relevant personal data unless: (i) we have compelling legitimate grounds for the processing that override your interests, rights, and freedoms; or (ii) we need to continue processing your personal data to establish, exercise, or defend a legal claim. The persons providing the testimonials on this website have experience in the services that RKCA, Inc. provided. 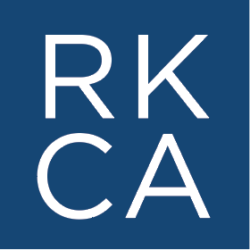 Their respective experience with RKCA, Inc. may not be representative of all other Clients of RKCA, Inc. Testimonials are not paid for by RKCA, Inc. Testimonials do not constitute a guarantee of future performance or success related to any product, transaction or service. This Policy was last revised in January 28, 2019.